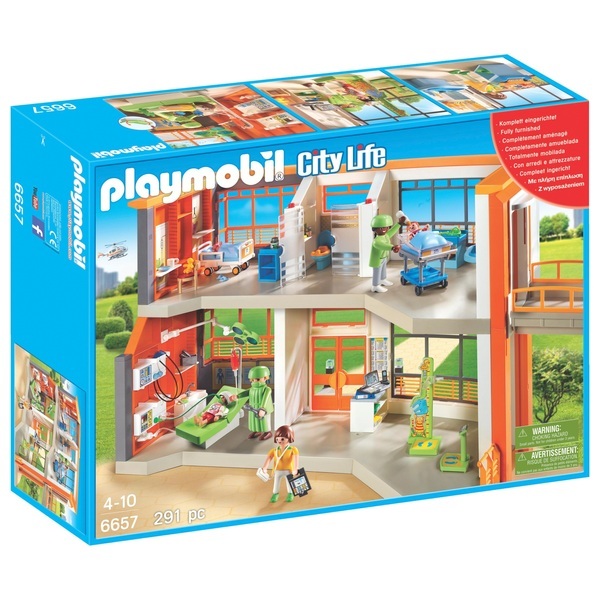 Playmobil City Life Furnished Children's Hospital 6657 has a working elevator which has space for the patient’s bed. The Playmobil operating table is adjustable and the operating light can be tilted. The patient bed rolls on wheels. Playmobil City Life Furnished Children's Hospital has a reception, a children's and baby section, as well as an operating room.